A database is a collection of articles which are accessible online, but which (in most cases) first appeared in print sources such as scholarly journals, magazines written for the general public, or newspapers. The articles have been placed online so that they can be easily searched and accessed. A database normally lets you search for articles in a variety of ways, including by keyword, subject or author. Some of the articles you retrieve will only be article abstracts, or summaries. Other articles will appear in full-text form, meaning the entire article is available to you. Most databases have a full-text option you can choose so that only full-text articles will appear in your search results. Visit Searchpath module 4 for in-depth help with using databases. Use the Databases to search for journal, magazine and newspaper articles. Although articles on American Sign Language, Deaf Culture, deafness and hard of hearing can be found in many databases, those listed below are especially useful. Databases are available online via campus computers or off-campus with current faculty or student identification. This link will take you to a page that lists the most useful business-related databases to use when searching for articles on the deaf or hard of hearing in business and the workplace. The first database listed and below, ABI/Inform Global, is an excellent starting point. This link will take you to a page that lists the most useful business-related databases to use when searching for education-related articles on American Sign Language, the deaf or hard of hearing. Extensive coverage of all academic disciplines including business, religion, law, history, psychology, humanities, current events, sociology, communications and the general sciences. Indexing is from 1977; full-text coverage from 1983. Extensive coverage of all academic disciplines including astronomy, religion, law, history, psychology, humanities, current events, sociology, communications and the general sciences. Indexing is from 1977; full-text coverage from 1983. Academic OneFile also includes peer-reviewed, full-text articles from the world's leading journals and reference sources, full indexing of some of the world's greatest newspapers, and access to wire services covering worldwide current events. Millions of articles available in both PDF and HTML, including full-text coverage of the New York Times since 1995. This multi-disciplinary database offers full text for more than 2,050 scholarly journals, including more than 1,500 peer-reviewed titles. Academic Search Elite offers full text information dating as far back as 1985. Academic Search Elite provides full text for nearly 2,000 publications, including nearly 1,600 peer-reviewed journals. In addition to the full text, indexing and abstracts are provided for all 3,505 journals in the collection. This database offers information in nearly every area of academic study including: social sciences, humanities, education, computer sciences, engineering, physics, chemistry, language and linguistics, arts and literature, medical sciences, ethnic studies and more. The majority of full text titles are available in native (searchable) PDF, or scanned-in-color. Full text information in this database dates as far back as 1985. Abstracts for current issue, index to back issues. The SLCC-FV library subscribes to paper format. This title is also indexed and available in full text in the Education in Full Text (EBSCO) databasse. The SLCC-FV library subscribes to paper format. Try Search It! to research your topic. Search It! is a consolidated search tool (discovery service) that searches in many different places simultaneously. 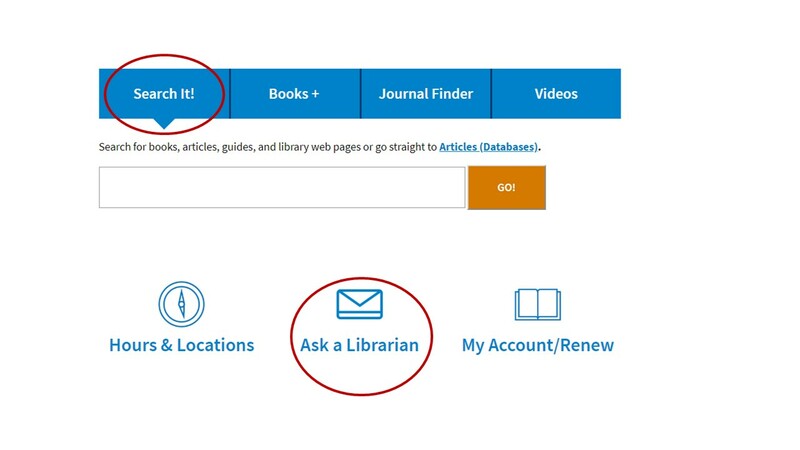 You will find books from the Library Catalog (Books+), ebooks, videos, articles from over fifty databases or freely accessible repositories, and links to databases or library guides. Learning how to refine/filter your search results is key to getting the most out of Search It! Try it out by using the "Refine Results" menu on the left side of any search results page. Remember, you can always Ask a Librarian for help.